Trying to reach perfect lead attribution is like trying to learn to fly with a pair of chopsticks and chewing gum. People just use way too many websites to get all the information they need to make the best choice. All we can do as marketers is simply the best we can. When going over our reports last year and discovering that our website had turned into a source code catch-all, we decided to try something different. Create sub-domains for your marketing. Here’s what I mean. Click on this link: http://iamanerd.bsitko.com. The iamanerd is the subdomain here. Do you notice when you click on this link it redirects you to a blog post I wrote? Notice the Google Analytics code in the address bar? These Google codes can help you figure out where people are really coming from to get to your website. Now that you see how it works, let’s do. Don’t be afraid, it won’t bite. Setting up subdomains is easy. These directions for setting up your own subdomain are for GoDaddy, which is who we use for our domain name hosting. If you have questions about your domain name provider, feel free to send me an email and I’ll try to help you out. We chose a simple naming convention; aptguide for ApartmentGuide and so forth but you can certainly set this up how you’d like. The next step is to build the url you need this subdomain to redirect to. In our case, it’s just the property’s default site. Go to Google Analytics url builder which is here. First, you’ll enter your website url. This is the site you want this subdomain to redirect to. Next, you’ll select the campaign source. For this we inserted our actual source code from our accounting system. This helps us in other ways whose scope is outside of this post. Third, enter the Campaign Medium. We just used web here but certainly you can enter whatever type is applicable. 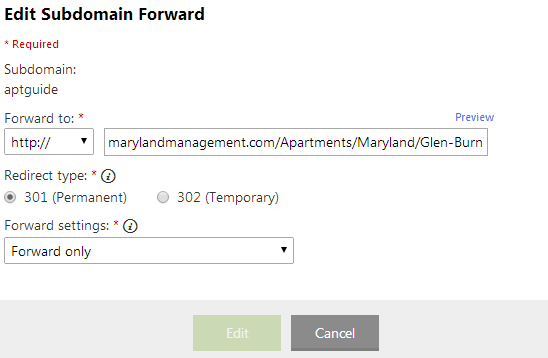 Fourthly, and this one is optional, use Campaign Content to segment your properties. Fifthly, Campaign Name, which is used to specify the exact campaign. In this case, it’s Apartmentguide. Now paste that url into the box labelled “Forward To” over on GoDaddy and hit Save. Make sure you update all of your ILS’s and other web sites with your new fancy urls. Want to track individual Craigslist ads? 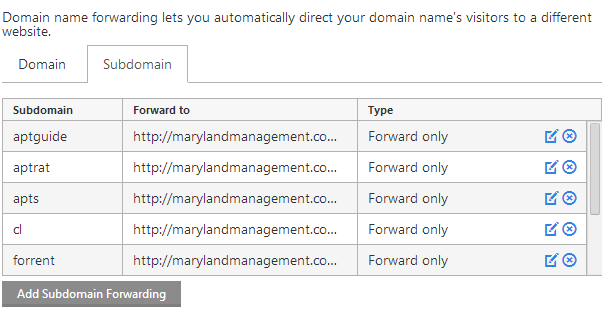 Setup custom subdomains for your ad types. Insert those url’s in your ads. We took things a step further here. We capture the Google Campaign Source code on our website and when a prospect fills out a guest card, we auto populate it with the correct source. I won’t go into how because showing you how to program in php would put far too many of you to sleep. Do you have a better way? Do you have any suggestions? What is good or bad about this approach? See? You did it! I told you you’d be able to! 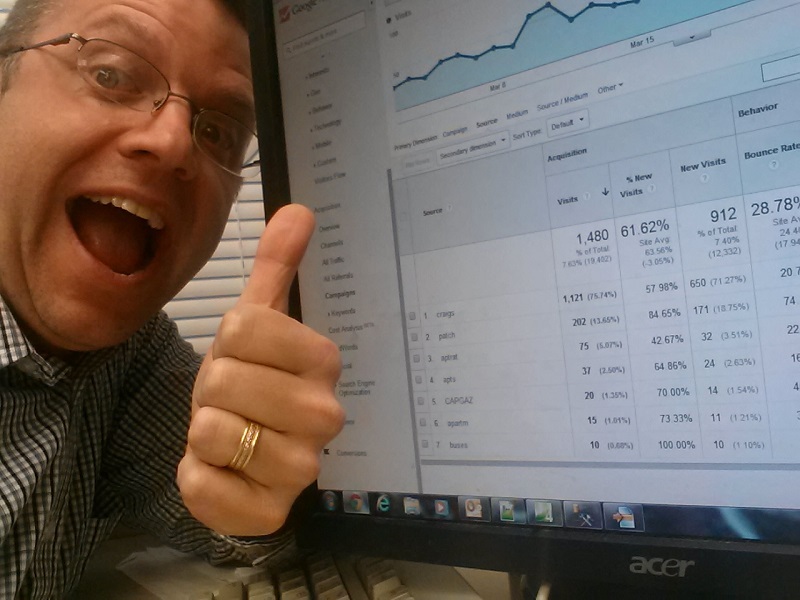 Isn’t Google Analytics great? Thanks go out, as always, to Mike Whaling of 30 lines for the initial inspiration. Email lead exhaustion: Do we really need them all?